Google search has at last enabled us to find the cheapest ink cartridges in Ireland. 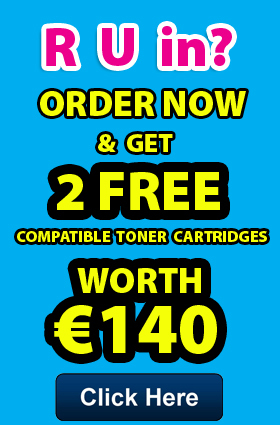 Literally at our fingertips now, is the opportunity to find all the best value suppliers of ink cartridges in Ireland. The online boom of sales in ink and toner in Ireland is steadily growing and is set to become one of the fastest growing online business success stories on the Internet. The reason for the popularity of the websites that are selling ink cartridges is the fact that the quality is now so high that there is very little difference between the original brand cartridge and the compatible ink cartridge. The highest standards of testing are applied to the compatible inks and in fact they are put through virtually the same rigorous tests as the original brands. With a failure rate of less than 1% on the compatible inks there is more and more demand for the low cost ink cartridges. If savings of up to seventy per cent can be made by switching to compatible ink and toner then it is only natural that people will want to make the move. When coupled with the very low failure rate of the compatible ink cartridges it makes good sense for the business and home user to switch to compatible inks. The average family with three children attending secondary school are likely to be printing out school projects and such like on a regular basis and require a good reliable printer that won’t let them down. Of course, in reality the most important thing as far as the parents are concerned is the price of the ink cartridges for the printer! Printing reams and reams of school projects will certainly eat away at the ink levels of the printer and this is where it becomes expensive to print out an end of term project. That’s where Google comes into it’s own and provides us with the platform to find the cheapest ink cartridges in Ireland. Most of the online suppliers of ink and toner in Ireland will offer next day delivery and that can be a saviour when it comes to the panic stations of running low on ink. The price of the ink cartridges online will be much cheaper than if you are buying in the high street in Ireland as obviously the overheads are reduced, but there is also the opportunity to engage with the seller and get rewarded for your loyalty of becoming a repeat customer. Discounts and free ink cartridges can all be an incentive provided to customers and the savvy online shopper will search for these great offers and take full advantage of them. The sales of compatible ink and toner online in Ireland in particular are increasing daily as it seems consumers are taking the time to seek out the best deal out there.